Vancouver will get the first glimpse at the new-look Toronto Raptors. The Raptors will visit Vancouver and Montreal again as part of their five-game pre-season schedule, beginning on Sept. 29 when they face the Portland Trailblazers at Rogers Arena as part of the NBA Canada Series. Toronto will play the Brooklyn Nets at Montreal's Bell Centre on Oct. 10. The Raptors' other pre-season games are Oct. 2 versus at Utah, Oct. 5 versus Melbourne United of the National Basketball League at Toronto's Scotiabank Arena, and Oct. 11 at New Orleans. 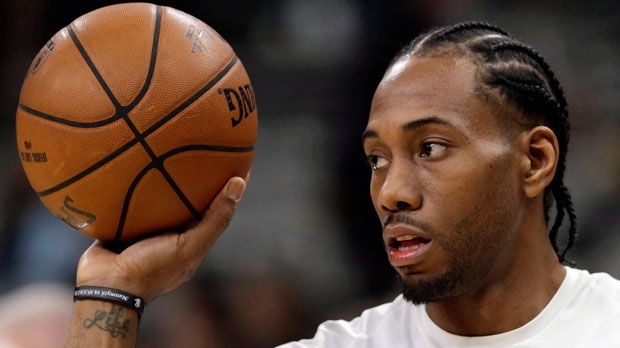 The Raptors had an off-season makeover when Nick Nurse replaced fired coach Dwane Casey, and DeMar DeRozan and Jakob Poeltl were shipped to San Antonio in a trade for Kawhi Leonard and Danny Green. The team will hold training camp in Vancouver, marking the fifth consecutive year the Raptors have held camp in British Columbia and the sixth time in team history.